One thing is for sure, a transformation is happening so surrender yourself to the flow of change that is taking you to the next level of growth for you. This Taurus Full Moon has us releasing excess emotions to make room for more peace. Cultivating peace is a choice. It’s a decision you make that states you will no longer allow external issues to influence your inner peace. Taurus is motivated by the desire for serenity, security, peace, and comfort. The Moon is at her most sensual in Taurus. Our basic impulses are to relax, resist change, and “stop to smell the roses”. Life slows down a little, and we get comfortable. We may also be inclined to stubbornness and materialism under this influence. With Venus in retrograde, relationships are certain to be at the forefront of your life at the moment. Has there been any tension in your relationship coming to a head? Take time to retreat daily to cultivate calmness before charging ahead. This full moon will shine light in the areas of your life that need a little clarity where you could start taking methodical steps in the direction you desire. You are being offered new opportunity filled with unlimited potential. Trust that this energy is working for you so it’s important not to judge, resist, or blame the changes taking place in your life. Allow what doesn’t align to be released. 1. HAVE I BEEN OVERINDULGENT OR LAZY THIS MONTH? 2. HAVE I BEEN SPENDING TOO MUCH MONEY? 3. HAVE I BEEN STUBBORN, SELFISH, OR JEALOUS? 4. HAVE I BEEN EATING FOR COMFORT? 5. HAVE I BEEN EXERCISING ENOUGH? Remember that the Taurus energy is also about CASH MONEY. Tune into how you spend and save money and release any abundance blocks you’ve been holding on to in your belief system. 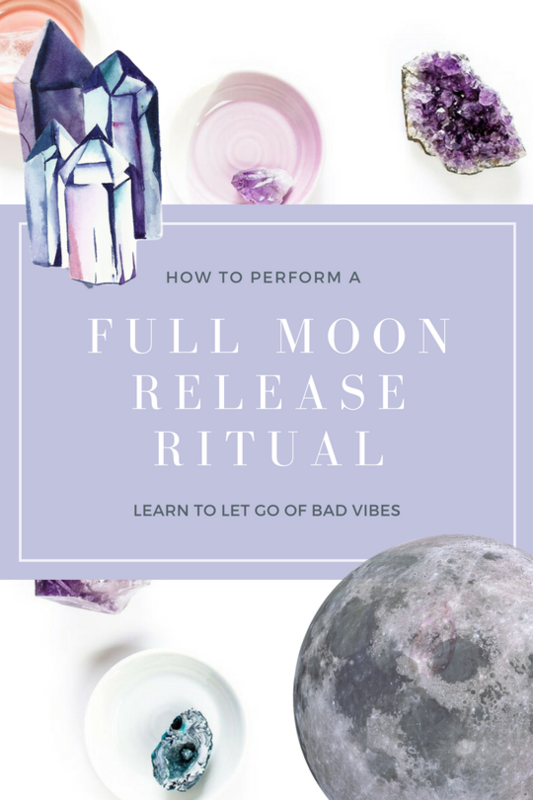 Try this Full Moon Release Ritual (and FREE guided meditation) to help you RELEASE stress and worry so you can create calm and peacefulness. « Meet Brittney Carmichael: The mother of all unicorns! I’m ready to release worry!!! Thanks for the awesome blog!